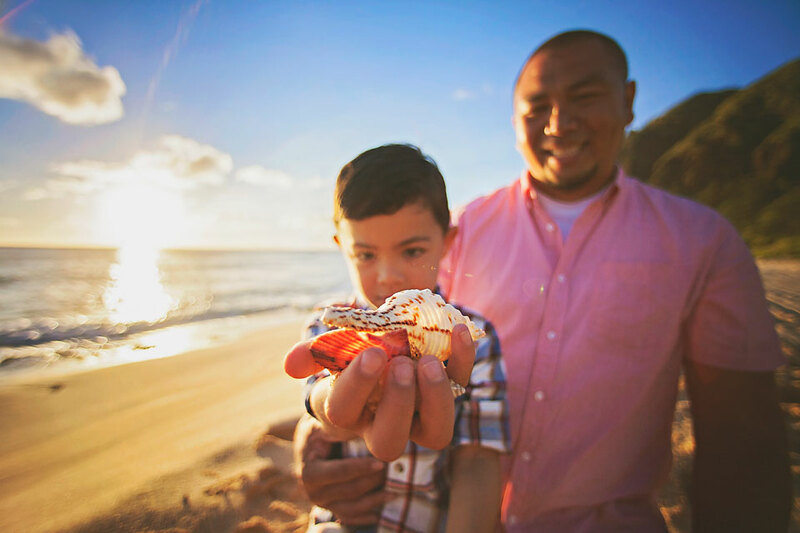 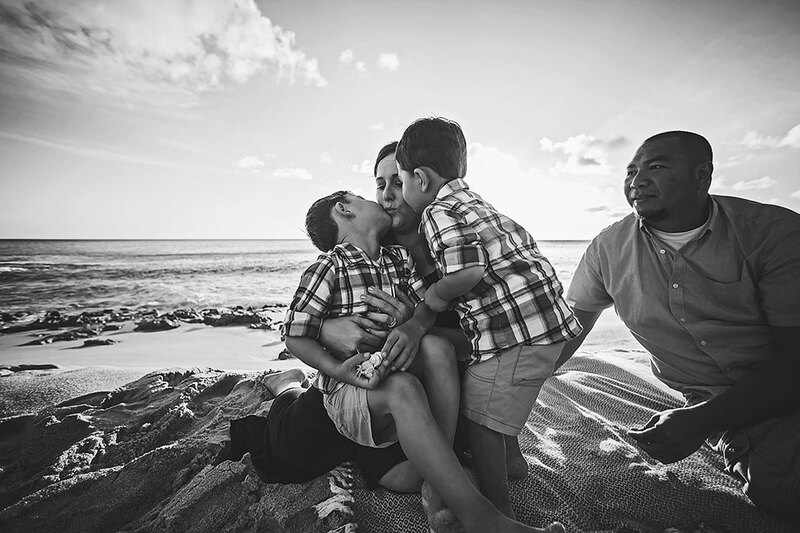 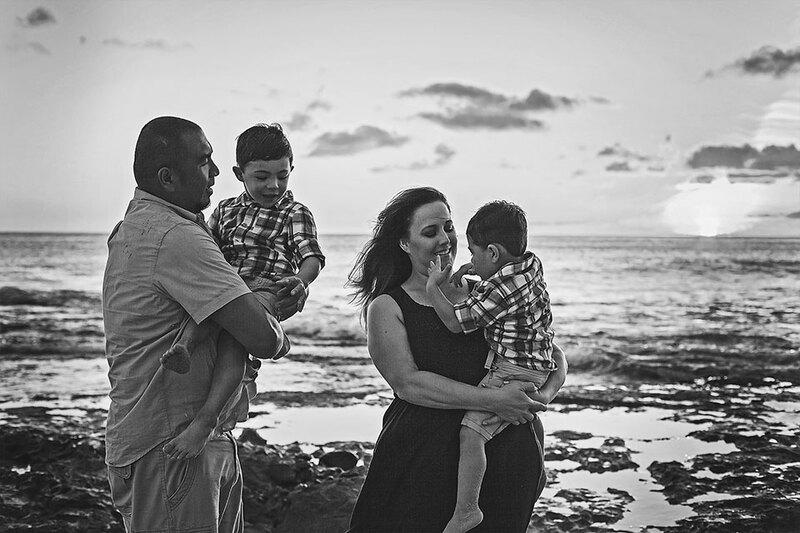 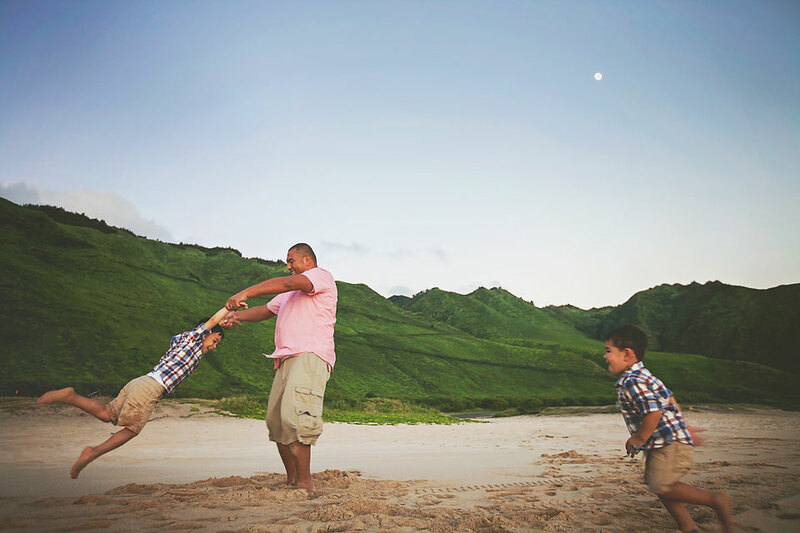 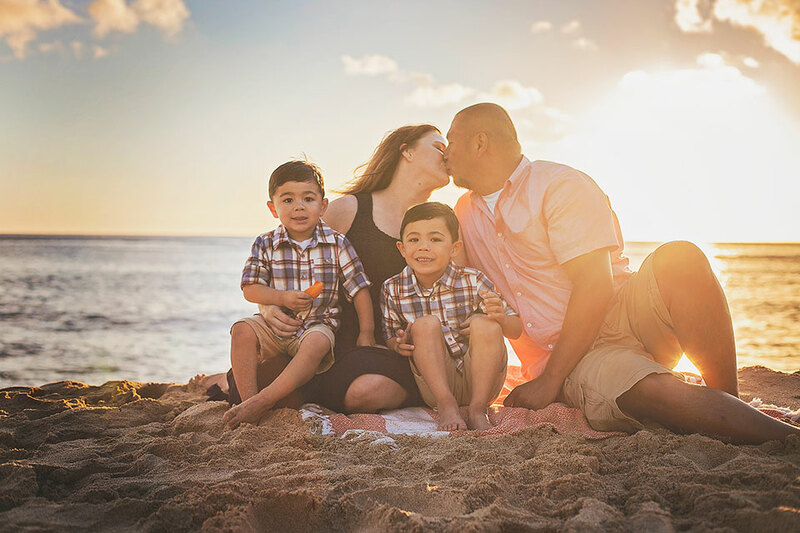 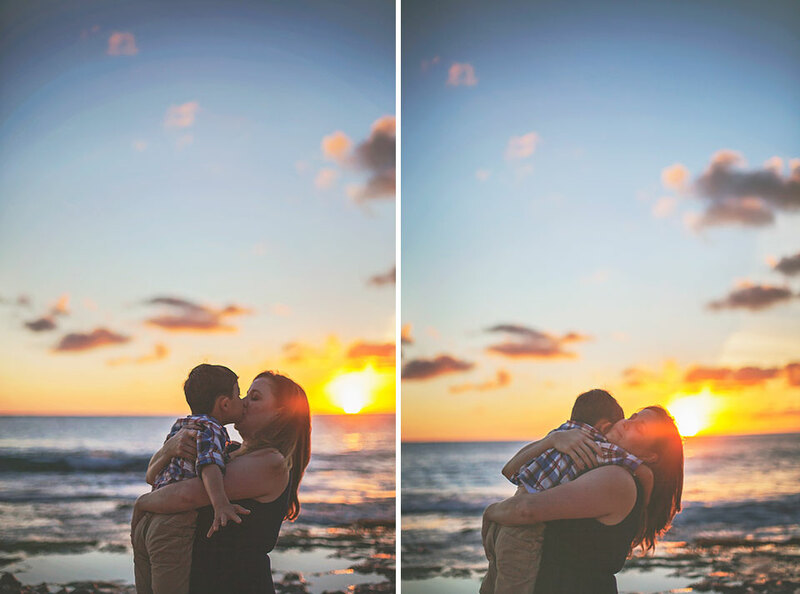 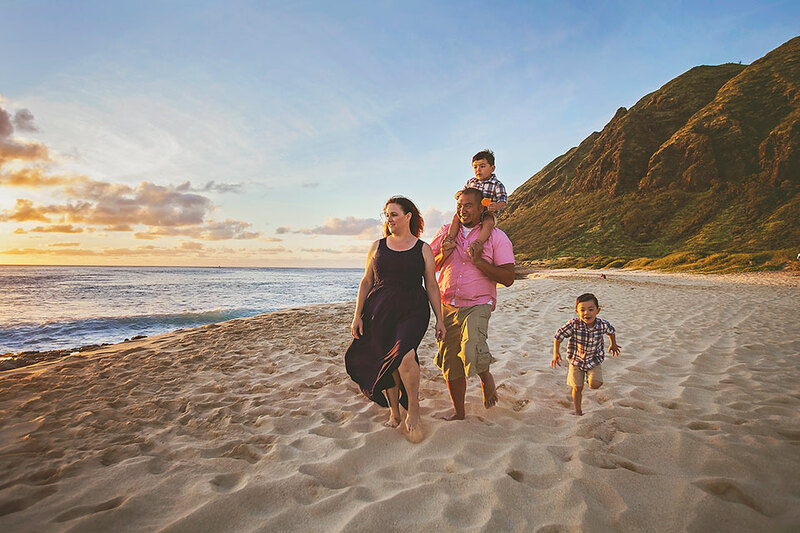 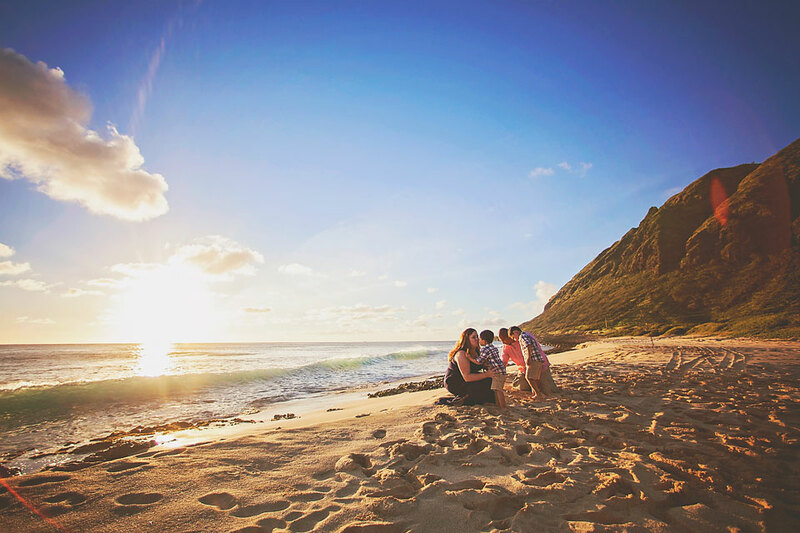 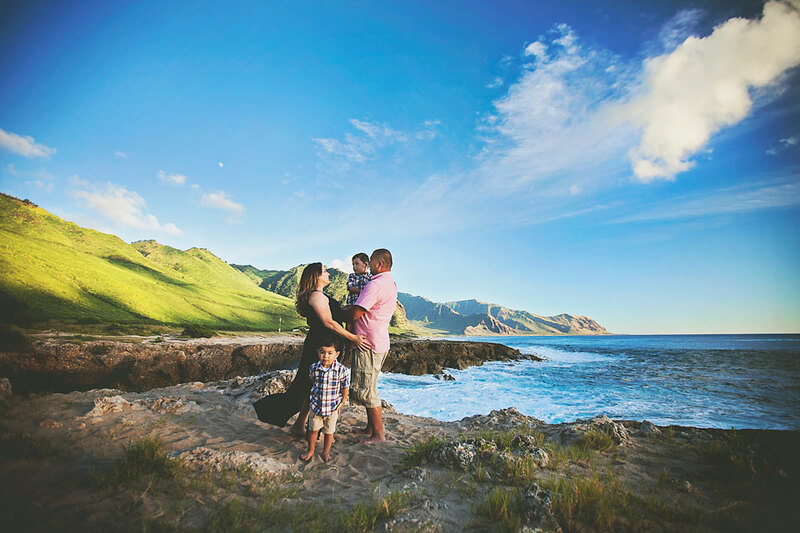 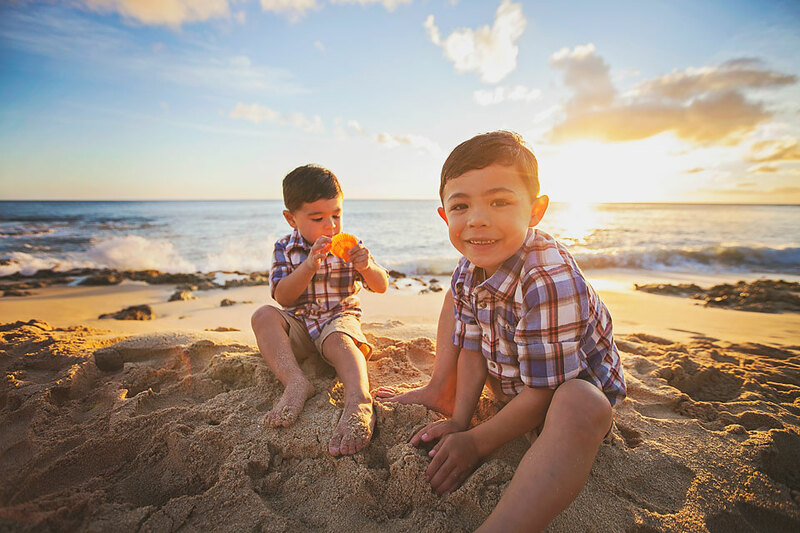 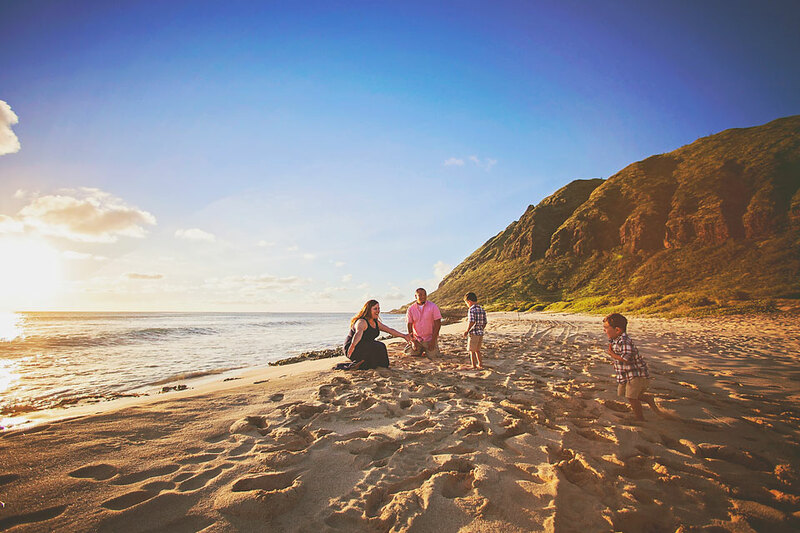 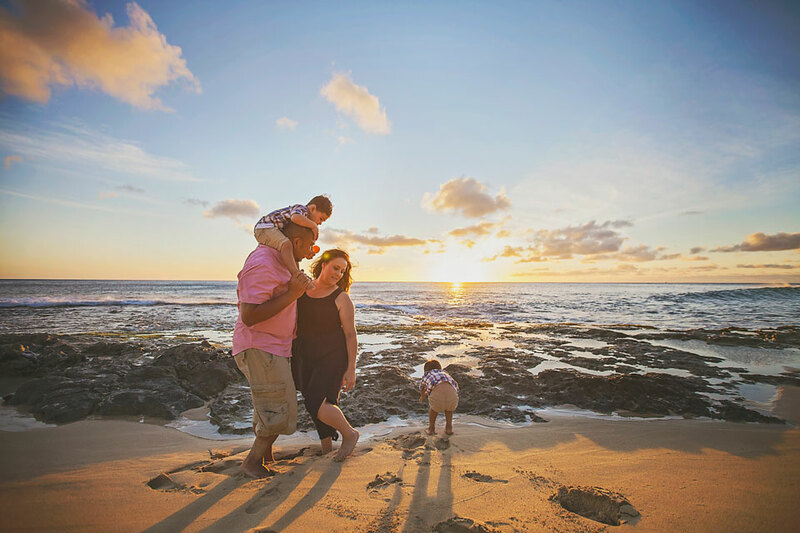 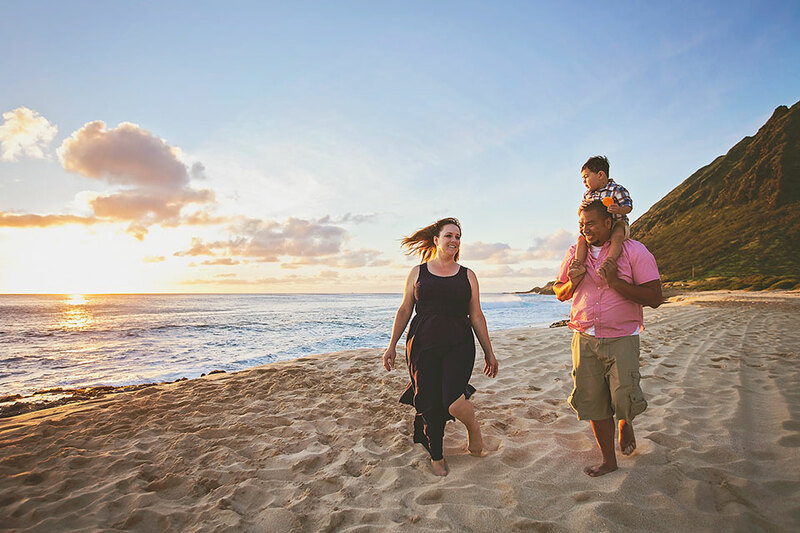 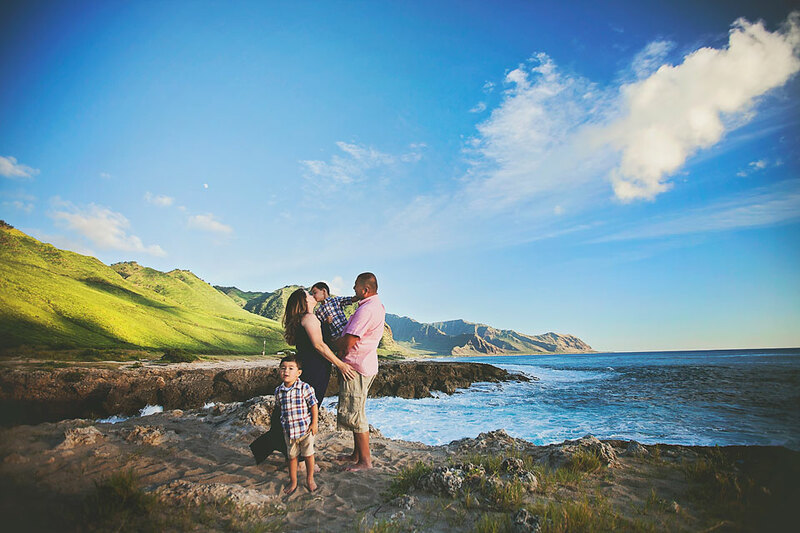 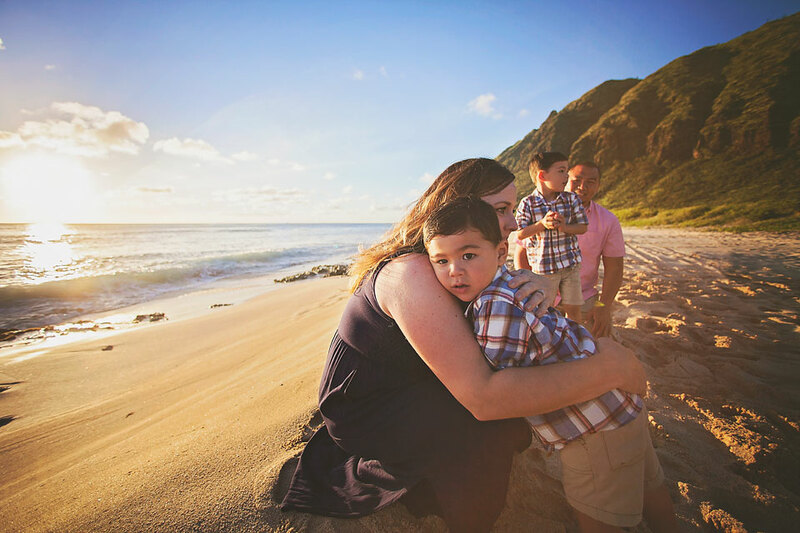 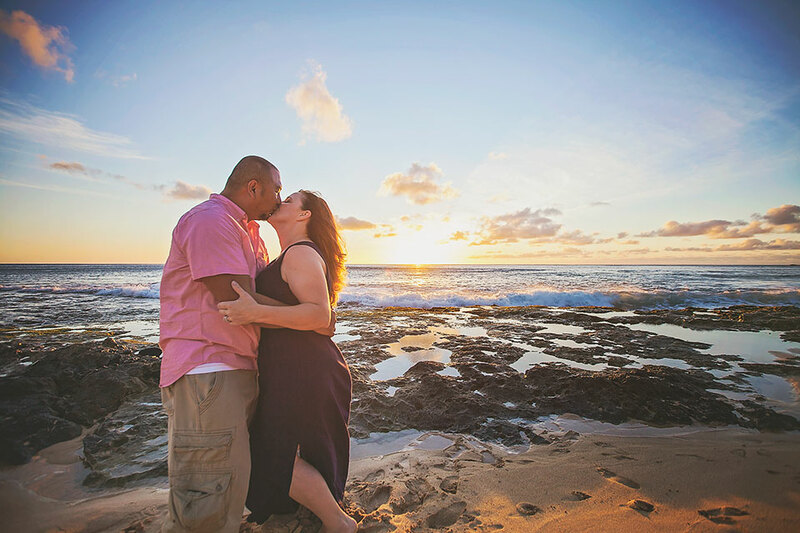 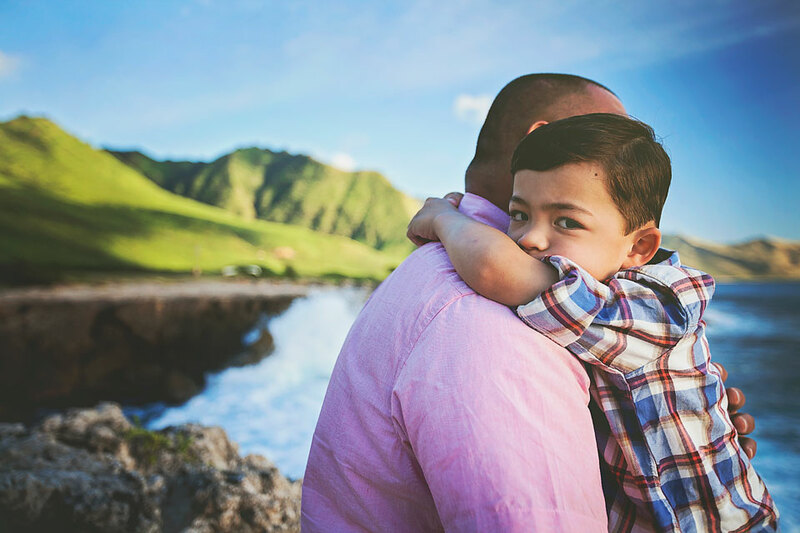 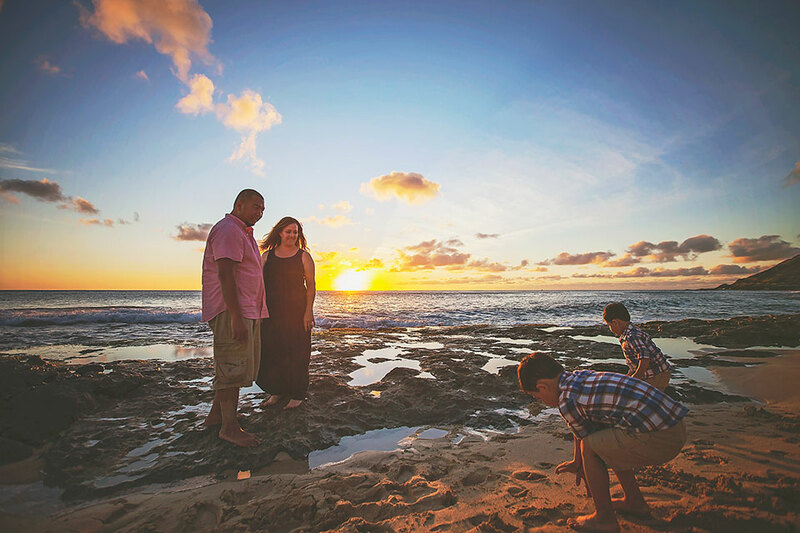 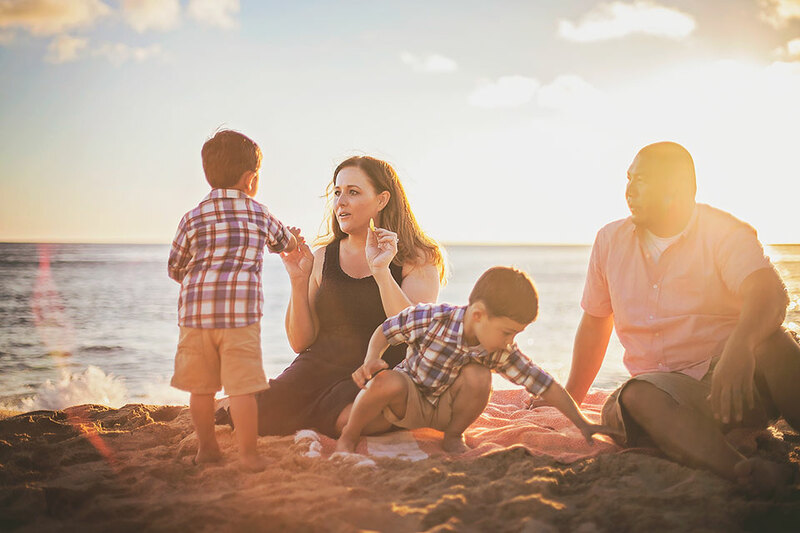 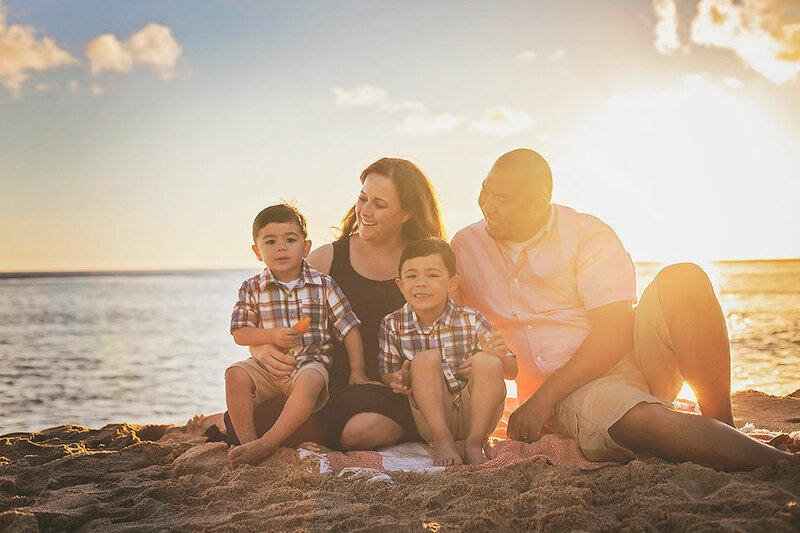 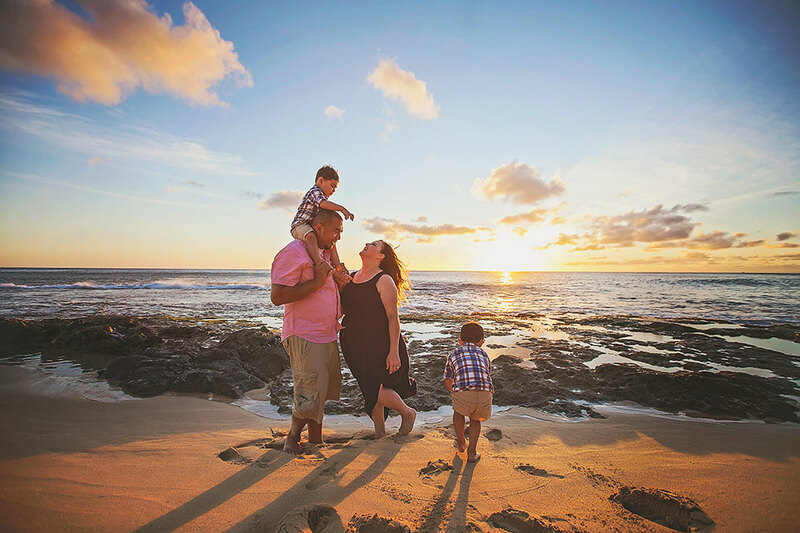 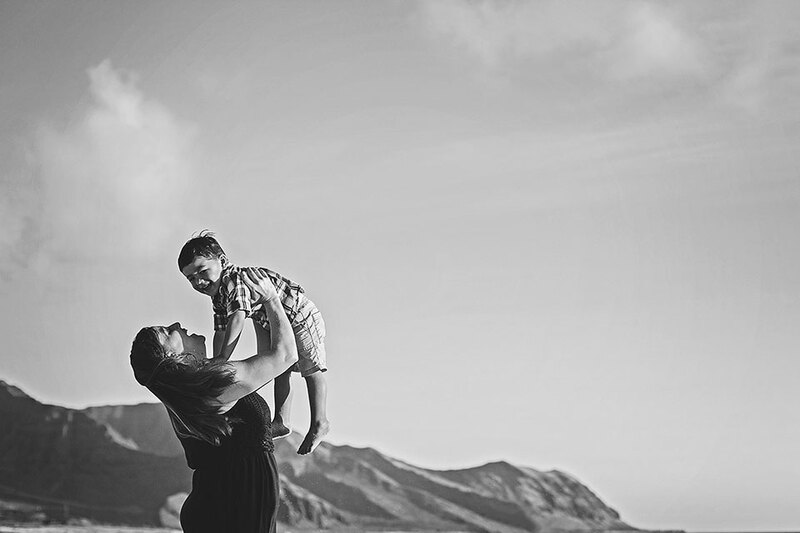 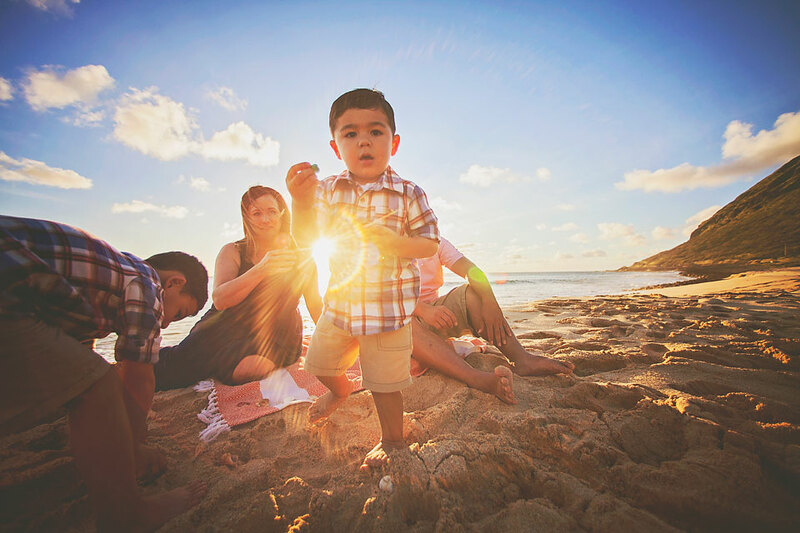 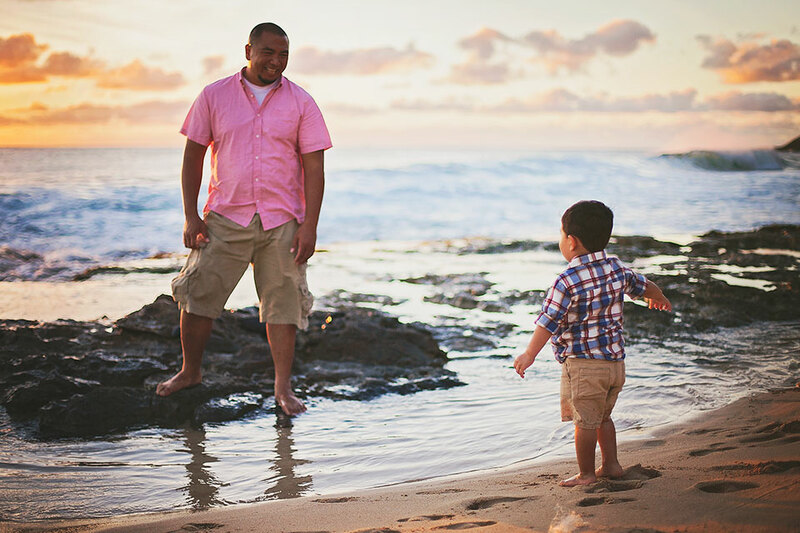 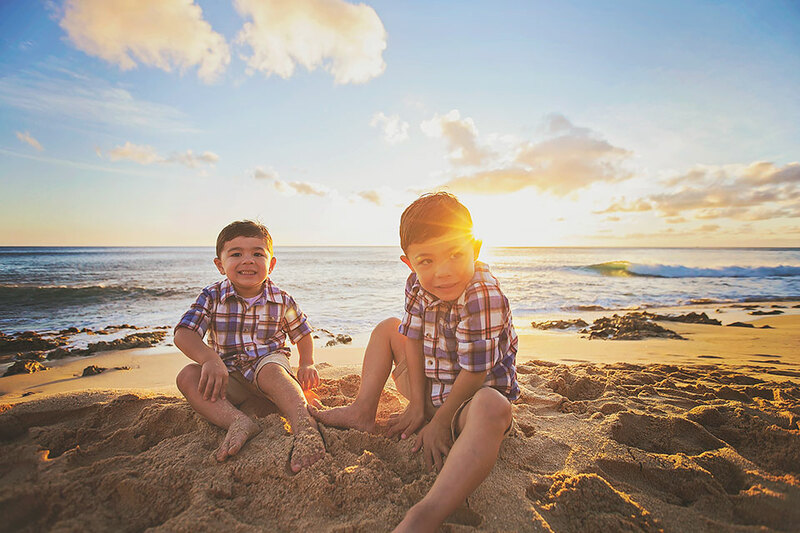 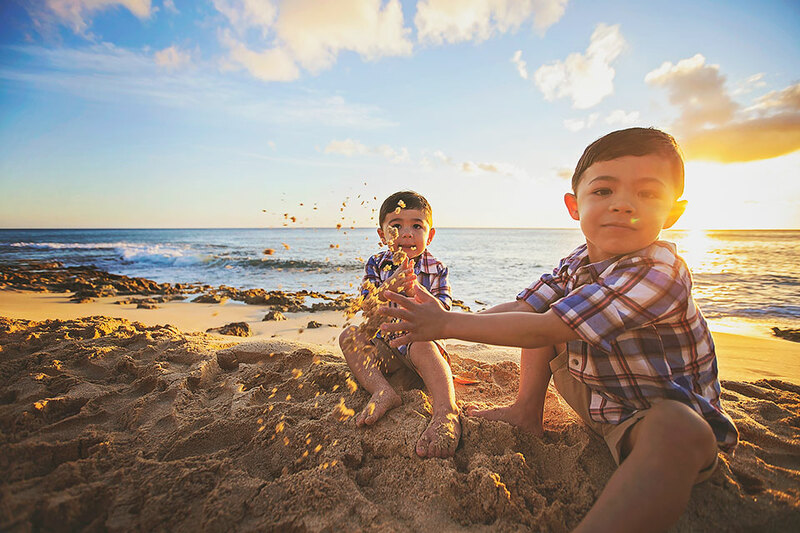 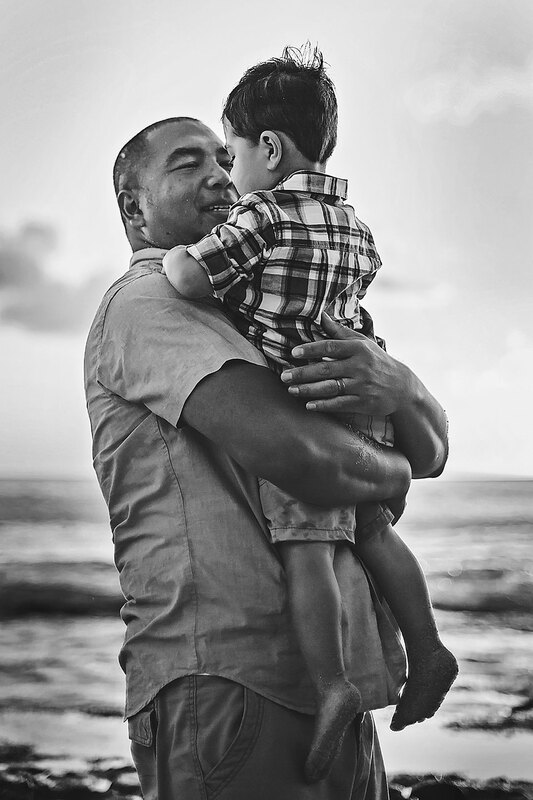 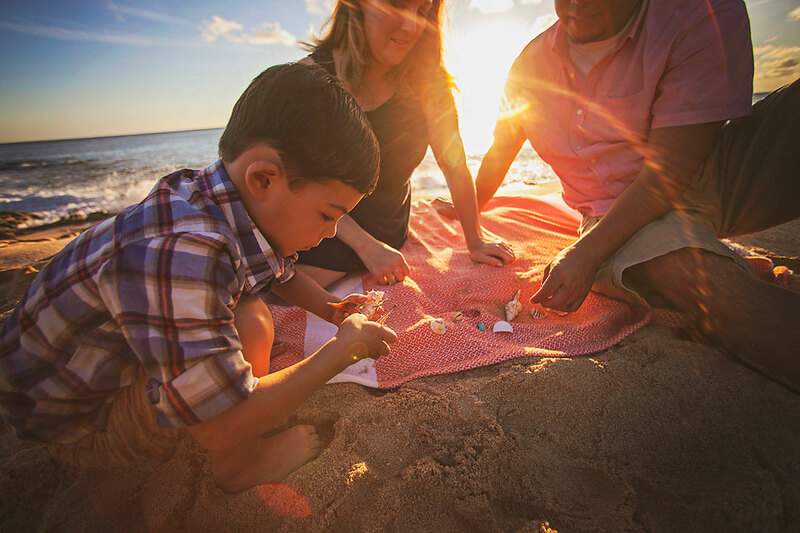 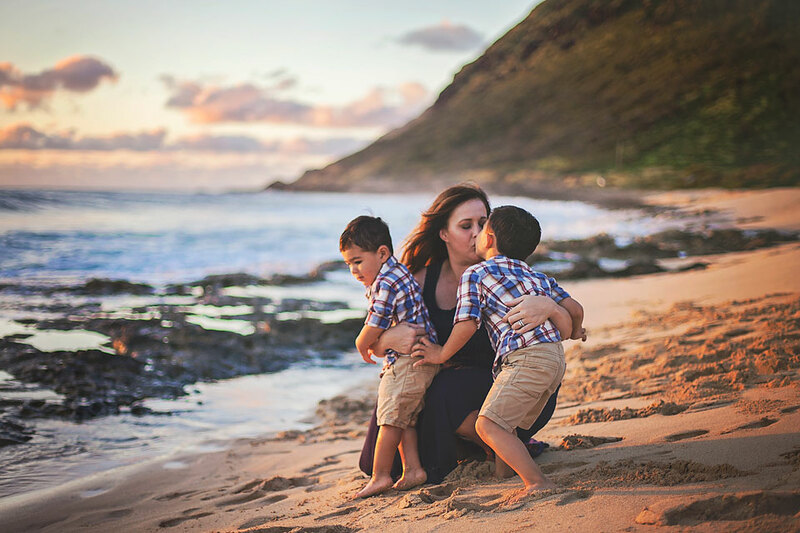 This adorable family came to O'ahu on vacation, and I had the privilege of spending a couple of hours with them playing on the beach and capturing their beautiful love while the sun went down. 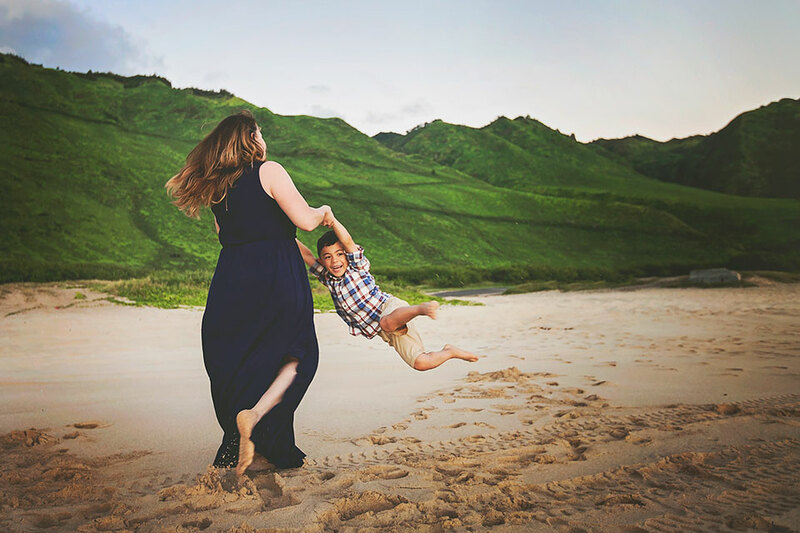 I mentioned on my Instagram when I posted one of their sneak peeks, that before I really figured out the kinks of a "real life" family session, shooting families with small children was always something I was scared of. 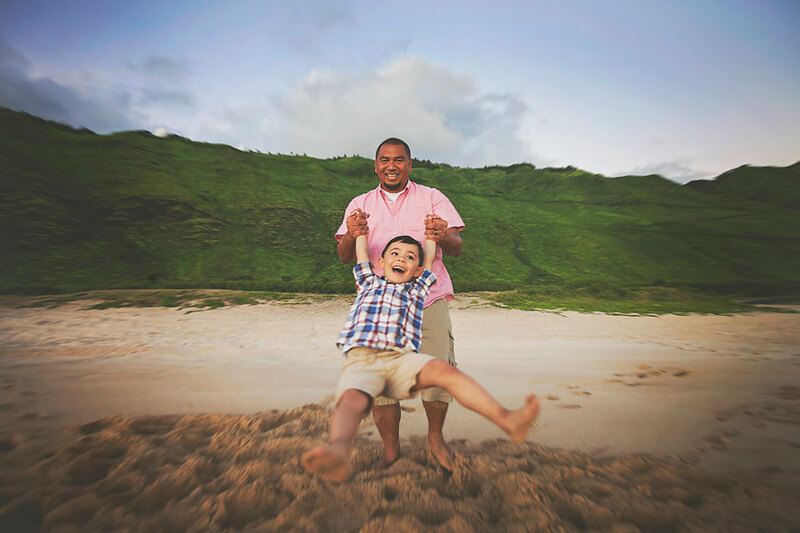 Kids want to have a good time. 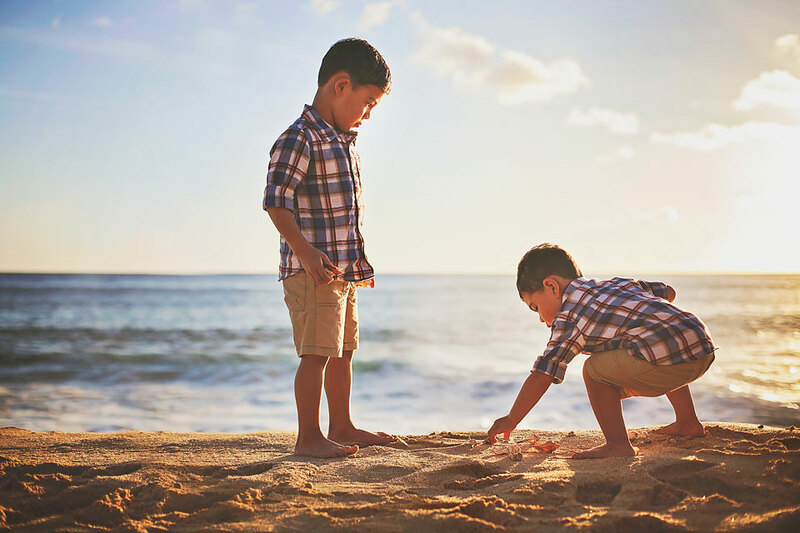 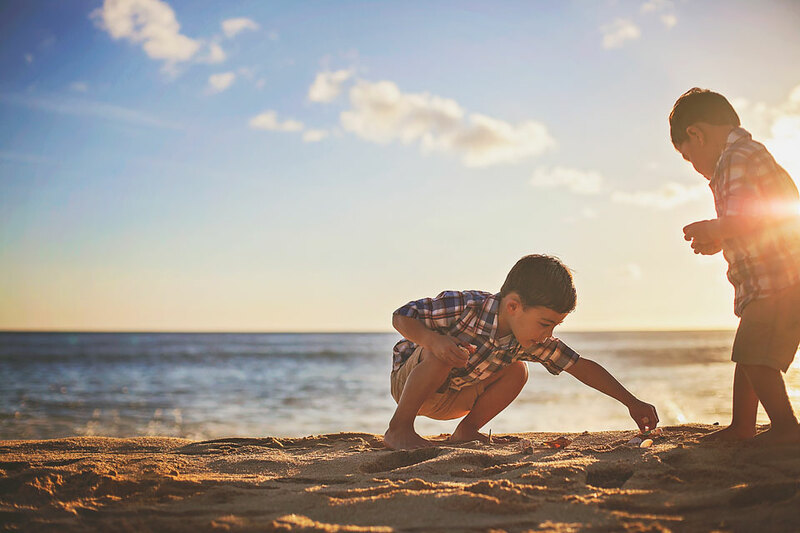 They want to play in the sand, run in the sand, jump into the tide pools, find colorful shells, get thrown high in the air or spun around until they can't walk straight. 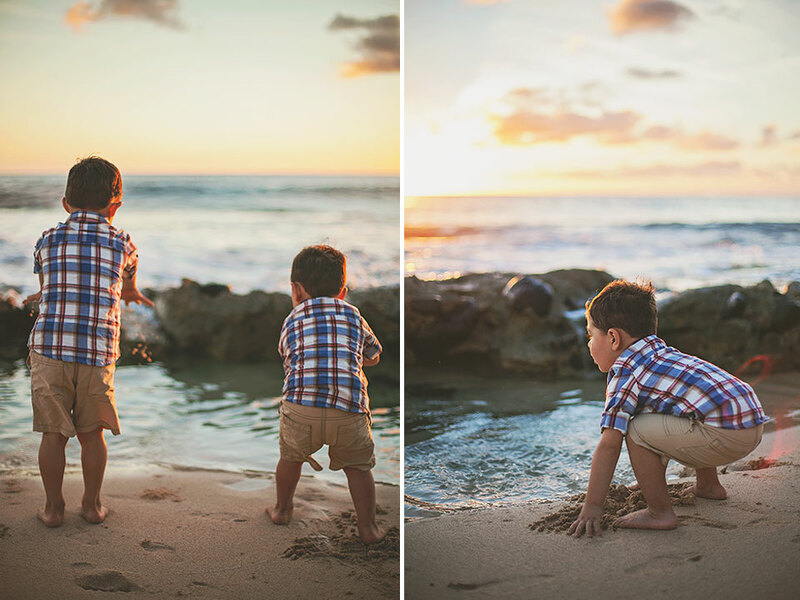 They even want to show me their dinosaur roaring skills! 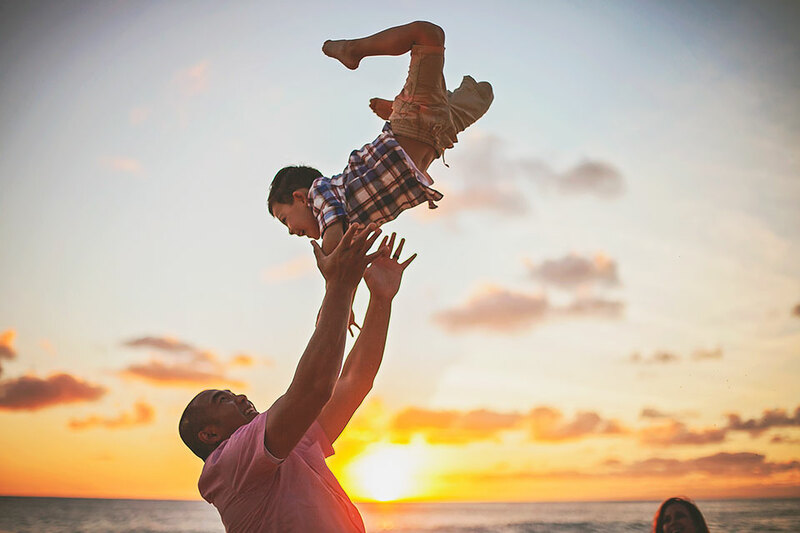 If the kids are happy and having a good time, chances are the parents will too! 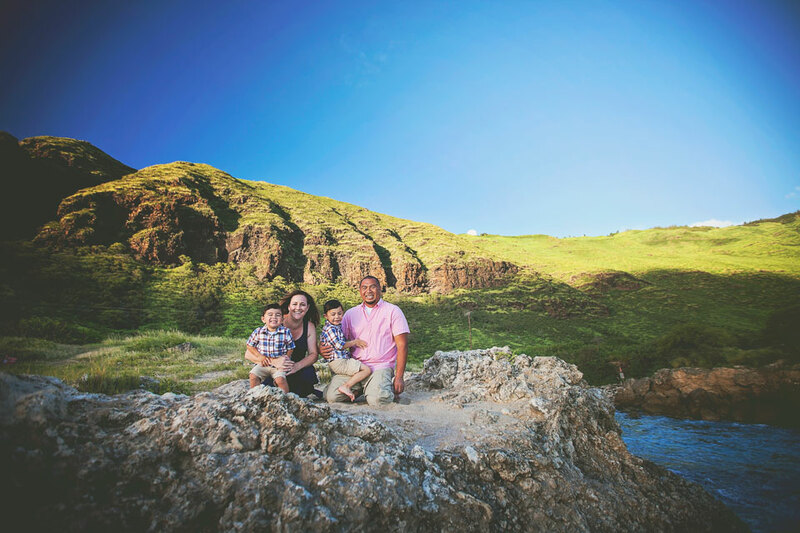 I had an absolutely wonderful time with the Tan Ohana! 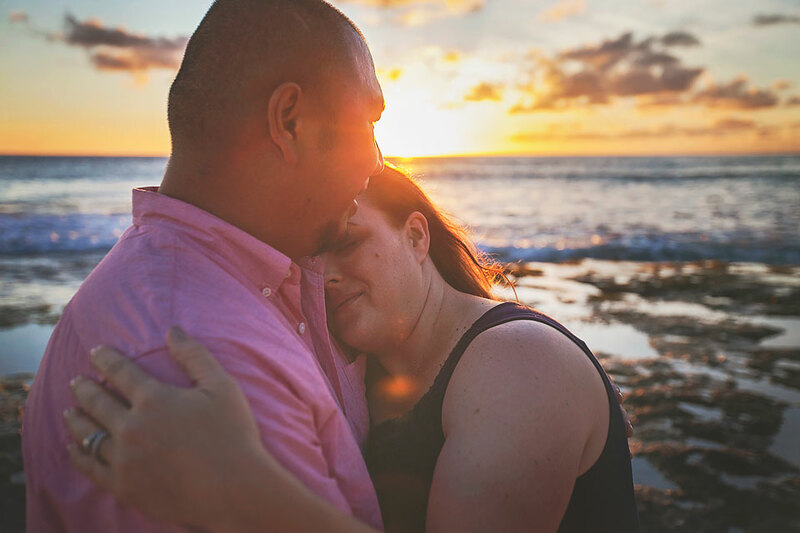 A hui hou - until we meet next time.